Sales are important and getting those sales are especially important to businesses, marketers, and agencies looking to produce results. Lead generation is a big focus for most marketers. And for most companies lead generation means getting qualified customers to take a valuable action on a specific page or event. But most companies fail to get any leads and when they do get leads they fail to turn them into sales. In fact, 79% of marketing leads never convert into sales. This is partially due to the lack of nurturing from business or the sales team and also the marketer, agency or business not generating qualified leads. Nowadays, social media content has taken over and is playing an integral role in lead generation for businesses of all sizes. But how do all the people on social media go from scrolling to turning into 4 million in sales from a Facebook Video? Well, look no further because the Miami Dolphins did just that and I am here to break it down for you so you can do the same. 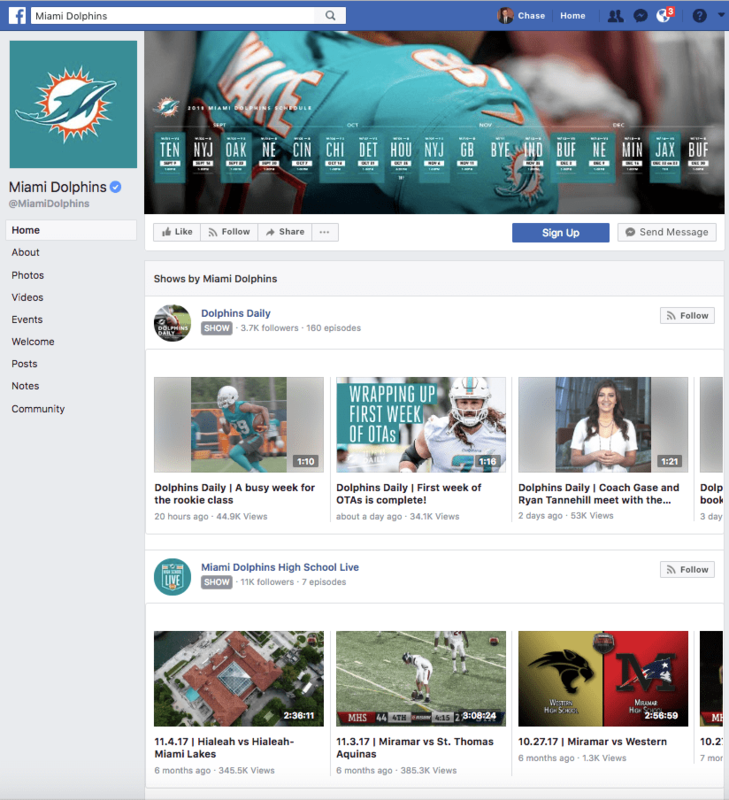 How the Miami Dolphins used Facebook video to generate leads. Not only did they generate a huge amount of leads they also became the #1 ranked sports team for Facebook video views. From the very moment you land on their Facebook page you instantly see a list of videos you can watch. With 2018 becoming the biggest year for social media video it should come as no surprise that you should be creating video content as well. Not only did the Dolphins generate leads with video but they used their video content as a way to boost engagement with fans. 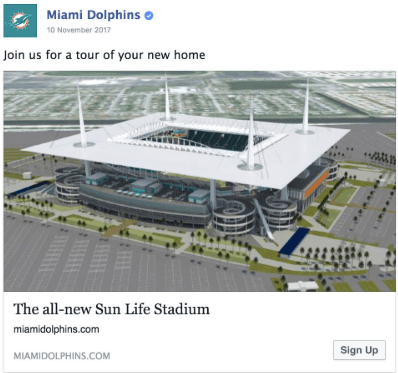 During an off-season marketing campaign to sell season tickets, the Dolphins used engagement data generated from likes, comments, and shares their videos got. This allowed them to target people who were most likely to make a purchase and become a season ticket holder. 25% of the new ticket memberships during the 2017 season was a direct result of the lead generation campaign from their Facebook videos this brought in more than $4 million in revenue for the team. Not only that but Facebook was also their cheapest form of advertising to get customers. What does the Facebook video strategy look like? Social media and the content they posted had a huge impact on their success, that is lead generation. Without social media, the Miami Dolphins wouldn’t have been able to sell out their season tickets. For their campaign, the Dolphins created a series of videos called ‘The Life’ and the life videos focused on the Miami Dolphins' organization, community, and players. The videos featured no mentions of season ticket sales asking customers to make a purchase. They simply focused on telling a story that resonates with new and existing customers. The Miami Dolphins have used many ways to grow their engagement, leads, and sales online by having different video series. This is very good for consistency and boosting daily engagement levels. This is great for building connections and loyalty. This is perfect for boosting rankings online and getting long-form engagement. Each of the video series they have serves a very specific purpose and play a part in a bigger plan to get sales, loyalty, and awareness. And let me tell you, it's a great plan. 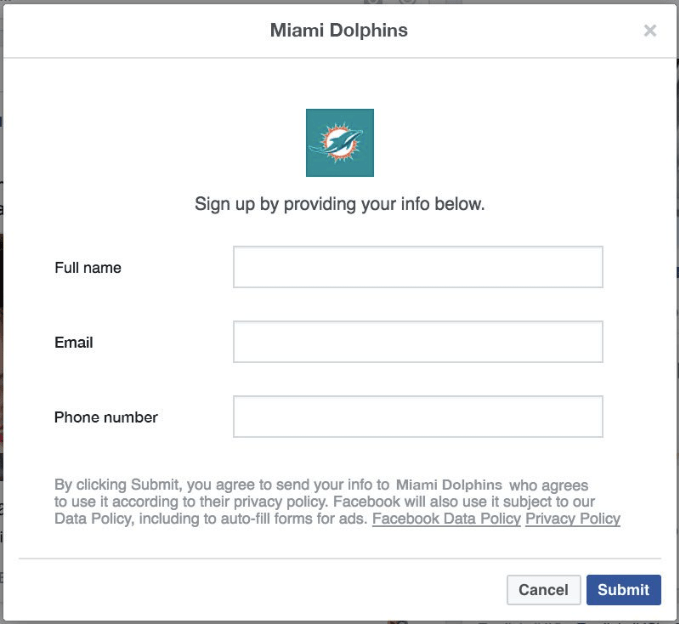 Next, the Dolphins created custom engagement audiences on Facebook. These audiences were made up of fans who had already interacted with their chosen pieces of content. This meant that the Dolphins could target people who were very likely to make a purchase. 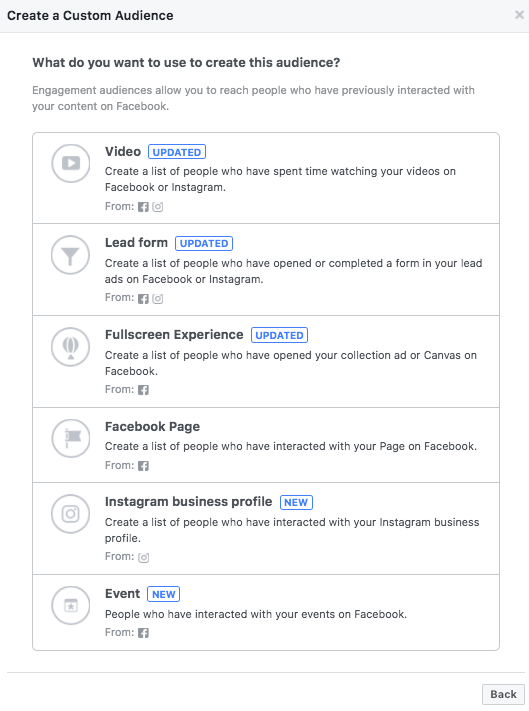 They did this by using Facebook Lead ads to re-connect with fans who engaged with their video content. The ads invited each user to sign up for various events at the new stadium or receive more information about ticket packages. Clicking the link from these ads would open a form within the Facebook app asking the user for three things. Once people had given over their information for the events from the Lead ads, the Dolphins were able to start making sales right away. They did this by calling the potential customers, using email marketing and retargeting campaigns to secure the sale. The Miami Dolphins might be one of the most famous and richest sports franchises in the world. But the great thing about their lead generation strategy is that any business can replicate it. All you need is a marketer, agency or content creator to get the leads coming in for you. Try not to always go right for the sale the first time. Especially in the case of social media it usually never works. You have to push them through your sales funnel. Start Thinking about how you can create an audience of people who already engage with your content and gradually move them to the sale. This has proven to be highly effective. Give value then get value. 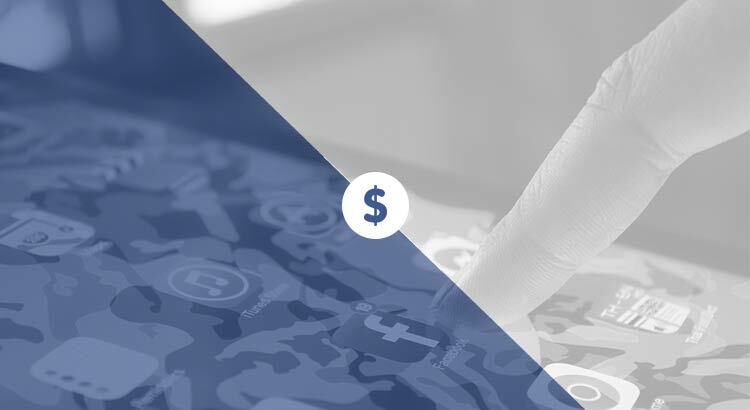 This strategy works even if you don’t have a sales team and simply want to get leads from Facebook Ads. In most cases can automate the whole process saving you a ton of time. Video Content has proven to be a huge success as a way to generate leads for the Miami Dolphins and many other businesses on Facebook. We’ve have experimented with tons of clients and ads ourselves and video has always been a solid approach. Although if you still don't like video content promotion that is okay because you can still generate tons of leads without it. What ways are you going to generate leads for your clients or business?